The Australian LOONG CHOO KUNG FU SOCIETY is considered to be a semi-traditional school. Prior to this, only the Traditional style of Kung Fu was taught and practised by all LOONG CHOO exponents. However the saying “Adapt to changes or stagnate and wither” is very true. One has to bend with the wind or snap off at the trunk. All martial arts have undergone enormous changes both in outlook and techniques and methods of teaching. In this light, The LOONG CHOO KUNG FU SOCIETY in Hobart has deviated slightly from the Traditional School and has become a Semi-Traditional system, emphasizing on the more functional aspects of techniques, rather than some of the more flowery but ineffectual movements practised in the past. However some of the traditions are maintained, the Ceremonial Bow, the methods of Grading (the prime 4 Quadrants), the more effective techniques, to teach for non-profit and to perpetuate the Art and its ideals etc. Would you like more information on hours, classes and programs available at Loong Choo Kung FU Society? Please contact the school with your questions. Update the details, Write a Review or Report Error of Loong Choo Kung FU Society. This Chart shows the Martial Arts Styles offered most in Lenah Valley, Australia area. 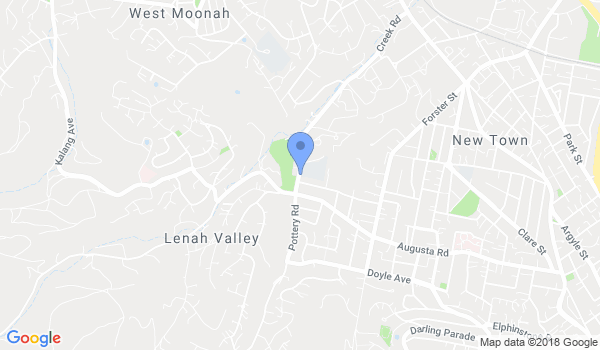 View a list of Dojo in Lenah Valley, or enter your address below to find schools closest to you.